The helicopter involved in the crash in central London is believed to be a AgustaWestland 109 (AW109) - a model that featured in the London Olympics opening ceremony. 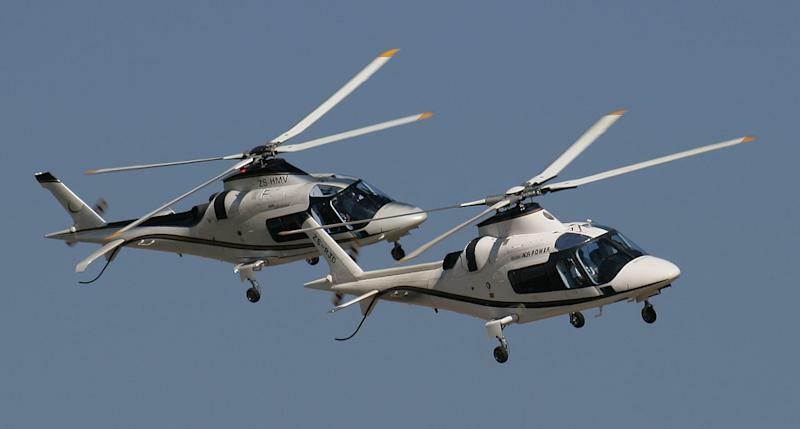 The lightweight, twin engine helicopter is usually used for search and rescue operations and luxury commercial flights. It can also be used for surveillance and patrol missions for police forces, its manufacturer AgustaWestland says. An AW109 was seen by a television audience of billions swooping over iconic London landmarks in a memorable sequence at the opening ceremony of the 2012 Olympics. Also included in the ceremony was an AW139 which transported two VIPs to the Stadium to officially declare the London 2012 Olympic Games open and an AW101 which released eight billion pieces of confetti. The aircraft is certified for single pilot use and is allowed to perform assisted take-offs from elevated helipads. There are currently 1,015 such helicopters operating around the world. With the rotors turning, the helicopter is 13.04 metres long and 3.5 metres high. Its maximum cruise speed is 177 miles (285 kilometres) per hour and can fly up to nearly 500 nautical miles in a single journey. Chris Yates, an independent aviation expert, told Sky News: "Helicopters are not supposed to come within 500 feet of any structure such as a high-rise building, so we don't know what caused the pilot to get quite so close. "We don't know the circumstances he was operating in at the time - whether there was a problem with the helicopter itself, whether he misread his instructions or received false instructions from air traffic control." AgustaWestland is an Anglo-Italian multinational helicopter design and manufacturing company, and a wholly owned subsidiary of Finmeccanica. The company has offices and plants worldwide, including its main UK office in Farnborough, Hampshire and a plant in Yeovil, Somerset. It is understood the helicopter had been traveling from Redhill, Surrey, to Elstree in Hertfordshire. The pilot died at the scene. Despite today's accident, helicopter travel is "very safe", said British Helicopter Association chief executive Peter Norton. He said any decision on whether conditions were fit for flying would be for a helicopter captain. Mr Norton, whose association represents the UK's civil helicopter industry, said: "This is a small industry, so any accident will affect us deeply. "We are very saddened by this news and our thoughts are with the families of those involved."